Is an Investment Credit Card a Good Investment? From cash back bonuses to airline miles to free merchandise, credit card rewards come in a stunningly wide variety. Now you can even earn rewards for your investments. Brokerages are offering credit cards that let you rack up points for a variety of rewards, including cash for retirement accounts. Among them are the Fidelity Investment Rewards Signature Visa Card, the Ameriprise World Financial MasterCard and the Edward Jones Personal Credit Card, to name but a few. Like other rewards programs, you earn points for spending. These cards, though, let you redeem them for qualified investment accounts. (You can't apply the points toward an account that's not with the brokerage issuing the credit card.) The Ameriprise card even lets you apply points toward discounts on its financial planning service fees. 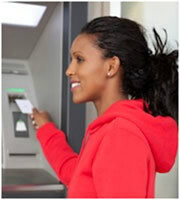 • What are the credit card rates and fees? Don't get so caught up on the points you'll earn that you ignore basic terms. A big annual fee can erase any investment gains you make. • How are points calculated and redeemed? Read the terms and conditions to learn how much cash you can earn in a year, how much you have to spend to earn rewards and whether your investment account qualifies for the program. • Do I need another credit card? If you already have an account with the brokerage issuing the card, and you use the card only for things you would have purchased anyway, then this credit card offer may be right for you. But if having another credit card might increase your impulse spending and boost credit card debt, then walk away. Carrying balances costs more than the rewards you earn. • Would another credit card offer make more sense? Don't overlook other credit card offers. You can earn money for investments with other cash-back credit cards, and enjoy the freedom to put the money anywhere you wish. Investment rewards are just one more twist in the credit card rewards market. Shop around and review the terms for these cards just as you would for any other credit you consider. 0 Responses to "Is an investment credit card a good investment?"